Each year a number of young coaches inquire asking for advice on getting into basketball coaching, navigating the business, and suggestions for personal development. Here are a few thoughts that I share. Everyone is ready for the next step but are you really prepared? Put yourself in the shoes of the position you want. Visualize sitting in that chair with those responsibilities. Do you know what those responsibilities would be? What have you done to fulfill those responsibilities right now? 1. You better have answers prepared. You get one shot at building your credibility. You get one shot at that first impression. 2. If your boss gives you responsibilities that you cannot handle, those responsibilities go elsewhere and you become expendable. 3. If players get a hint that you do not know what you are talking about, their confidence in you is gone. Players will listen if they believe that what you are saying will legitimately help them or their game. Players don't care how much you know unless they know how you care. Just because you get a coaching shirt and whistle, does not mean that players will give you their heads and their hearts. Those are things you earn. 4. Can you identify needs and handle it without running to your boss or someone else to handle it? Team success is often found in the clarity of the head coach's mind. A good assistant or staffer is handling the things that need to be handled before it gets to the boss and often these tasks have far more to do with chasing a teenager to do whats right or handling phone calls that are not always fun to deal with. 5. Understand at most levels where coaching is a profession, the actual strategic and on floor coaching is the 'fun' stuff. The majority of the job is working to promote the program, build and nurture relationships, massage and manage personalities, organize functions (such as camp, clinics, team building exercises, etc.) and dealing with daily minutiae. The guys that dodge the real work are a dime a dozen. Every year college coaches call and ask for recommendation of 'grinders' that will do all these things. Every year head college coaches are searching for answers because they are caught up handling things that they should not be handling. Don't make your head coach be your taskmaster as well. 6. Understand what it means to be loyal. Everything is we's, our's, and us in a program. The head coach sets the standards, the philosophy, and the culture. Your only choice is to wave the flag and sell it like you believe it's gospel. When you begin second guessing and sending out mixed messages, you are in the wrong. Period. End of story. A hint of dissension that gets out publicly, is a massive ripple effect that reflects poorly on the program but sticks with YOU. I have been fortunate to be exposed to a great deal of professional development opportunities. My advice to young coaches is to get into any college or legit high school practice you can observe. Takes notes. When you are at the undergrad or graduate level, that is a great time to focus on getting your own doctorate in the game. Get to every clinic in site. Read clinic notes online. Email coaches. Track down retired coaches for a few lunches. Study film, scouting reports, and individual players on all levels. Can you follow what a teams strategy is by watching a random game on tv? Can you figure out the chess match, the counters, the sub patterns, dead-ball sets and adjustments or pick up on who is dictating tempo? 1. Study and learn the game through any literature possible. Love this part of it. Don't just read what you want to know. Read it all so you understand it all. Read books, biographies, coaches backgrounds, the analytics, understand basketball math and statistics, understand what's useful in a box score and what is not, read any coaching clinic note you can get your hands on. Why? It builds your basketball language. It builds a foundation so that you can understand basketball subjects and also speak on it. Understand which coaches come from which 'coaching tree' and the characteristics that bind them. These are developmental tools for any profession. 2. Get film of workouts, team workouts, practices, and game film. Make contacts that can help get these items for you. Many in the profession share. Learn to mimic some of the best drills. Catch on to teaching phrases and communication styles of different coaches and find what best fits you. 3. Get in the gym and blindly scout AAU and high school games. Don't cheat or ask who's who. Learn to be able to scout players and decipher the various levels of competition to project where prospects fit. Talk to scouts, coaches, recruiters and get their scouting sheets for evaluating players. Evaluating players is an art that is slipping away. Don't be a chaser that needs to follow a list from someone evaluating in generalities. Understand what you value or your program values and be able to identify what you see as valuable. 4. Be a manager or a player. Be at the ground level. Be in the locker room when no coaches are around and get a feel for the player culture. Become empathetic to players and what is important to them. 5. Spend a season as a video editor. This is where you can get a doctorate in X's and O's. I was fortunate to breakdown film for Coach Lon Kruger as well as stat from film from Coach Paul Westphal. If you are lucky enough to find NBA level coaches, you will work your tail off but never regret. In a given season, you are breaking down hundreds of games into individual clips scouting opponents, opponents opponents, and your own team. You begin to appreciate every play as its own domino in the game. You start to see how a player short-cutting a play by 8 inches can throw off the timing and effectiveness. You see teams game plans, the chest match counters, and your own head coaches strategy in play. Doing video clips for your opponent, for your own team, and of individual opponent players you begin to think exactly as your head coach would. If you fortunate enough to type of scouting reports as well, then you get the full experience of game prep. 6. Coach players. Sounds simple but find any team to coach on any level where you are the head coach. Winning and losing depends on you. You have to find a way to motivate, strategize, and communicate to your team. Work out bad players and elite players, bigs and guards. Develop a way to communicate, teach, correct, and demand with confidence. 7. Spend time with players at the level you want to coach at. Understand how they talk, what they are in to, their culture, and what makes them tick. 8. What analysis do you provide for your head coach? Ideas are like the wind. What provides value for your coach to consider. 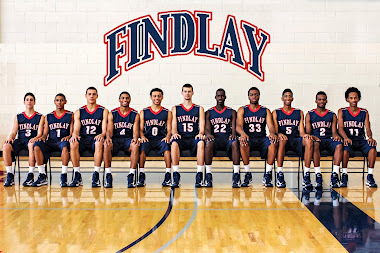 For example, at Findlay we chart every shot for every player and what our percentages are from those spots on the floor. We chart what the result of every possession is for every player (for example, on elbow catches #33 turns it over 1 of every 4 times, shoots 32%, and has 1 assist on the season from there). In game, we chart +/- which is the score when a player enters and the difference in score when he exits. We do the same for our different defensive schemes. Your head coach probably gains more value in hearing that "we are -12 when Johnny is in the game with Billy" or in a meeting noting that "Johnny is 4 of 22 from 10 to 17 feet, but 12 of 14 from inside 10 with 8 free throw attempts". What we found with several players of the years is that their production after 6 minutes decreased through +/-. For those particular players we adjusted their sub patterns. Give your boss data supported by facts, make your case, and let him decide. Advanced analytics also provide credibility with your players. Show them how to improve their game. Stats and film earn trust that you know what you are talking about. 1. You need to have a foundation of relationships built before you ever get to where you are trying to get to. It is all about relationships. Much of the game is about salesmanship. You are selling your program, yourself, and what you can provide. Your buyers are the players you are recruiting, your future boss, the coach that is coaching the recruit you want, etc. The days of the cold call sales pitch are long ago. The proliferation of social media has changed how people communicate. There is a great deal of saturation in communication. You better have a personal relationship that supersedes all the noise so that you can get results. 2. To build those relationships, get involved in aau basketball. Do some freelance scouting for one of the internet scouting services. Anything to get a reason to introduce yourself and be able to call on someone in the future. 3. Shake hands and exchange information around coaches. I've made some of my best contacts sitting next to high school coaches, aau coaches and chasing down the speakers to thank them. Try to get emails, phone numbers, etc. Follow up with a hand written note. 4. Stay involved year round. AAU, camps, etc is a great way to network. Call up universities and ask to work their camps. Even if they say no use the call to network with whomever you are speaking with. 5. Hear everything, see everything, don't say anything negative. Like any profession there is all sorts of gossip and back biting. Be a positive person that doesn’t get into all that you will see that eventually there are few that will have anything bad to say about you. Trust and loyalty will open doors. You may be popular for giving the gossip but will anyone want that type of person in their inner circle? 6. Be likeable. Sounds simple but humility, empathy, and being pleasant can be really valued with all the bad experiences that take over workplaces. Because basketball is so competitive there is a ton of ego. Sometimes you get ahead biting your tongue and not proving right and wrong at every turn. Many try to get ahead by keeping others down but you can get to the same level and it is more rewarding if everyone rises together. When the opportunity arises, don't be ready to fill the role. Be prepared to exceed all expectations. Know how to contribute. Know what your teaching. Be confident. Have your relationships ready to have your back. When your boss realizes that his workload is less, the results are getting better, and that your added value (in what he sees and also what he doesn't have to see) is the difference you will be well on your way. If u love high school hoops history u gotta follow @RonFloresESPN. Delivers some of the best facts & stories on twitter. If APR base had been at 930 (which it's moving to) instead of 900 this year, CBB would have ~60 teams ineligible for '13 postseason play. More good commentary from combine: "Still plays with tunnel vision", "What does he do without the ball that translates to the NBA game?" Great stuff from scouts at combine "Has a kid been coached HARD? ", "Has he modified his game to play with talent? ", "Will he accept a role?" High Field Goal Attempt ‪#s‬, low rebounding #'s, + high turnovers = hyped based on high volume usage not substance & efficiency. The bottom 20 high major (For simplicity: ACC,Big10,Big12,Pac12,SEC,BigEast) teams in scoring had 3 players total selected in the draft. The top 20 high major scoring teams combined for 35 players drafted. Does talent allow up tempo play or up tempo play let players shine? The 2 basic statistics that most translate to having value at all levels are Defensive Rebounding & Free Throws Attempted, Toughness stats! Damian Lilliard averaged most shot attempts per game of any 1st round pick at 15.47. Harrison Barnes next at 13.68. Be efficient & rounded! Kevin Garnett will make the most NBA salary ever at $321,000,000. Under 20ppg career avg but #2 all-time rebounder. Rebound young fellas! 345 Division 1 schools, nearly 4,485 scholarship players, only 60 players drafted. A LOT of VERY good players undrafted. Lesson: it is HARD! Interesting to see trends toward production over potential in the draft. Now into the role filler part of draft. What NBA skill do u bring? Currently Assistant Coach at UNLV. Previously the Head Basketball Coach at Findlay Prep in Henderson, NV. It has been a privilege to coach young men that are committed to being good people, students, & players. We were 192-9 over 6 seasons with 3 ESPN HS National High School Invitational championships in 5 seasons and produced 7 NBA players since 2010. This site is a collection of articles, studies I have done, book reviews, and quotes I have collected over time. NHSI qualifier finishing 28-4 with 5 seniors accepting division 1 scholarships. 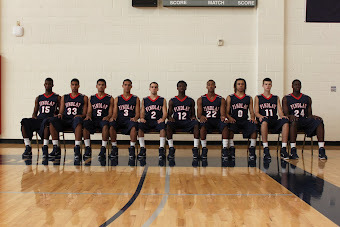 The #1 Ranked 33-0 High School by USA Today, ESPN Rise, MaxPreps, Rivals & others. All 9 have signed or committed to division 1 schools. 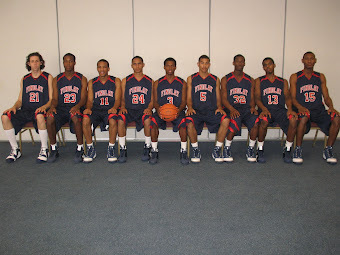 These men went 32-1 & finished national prep runner-up. 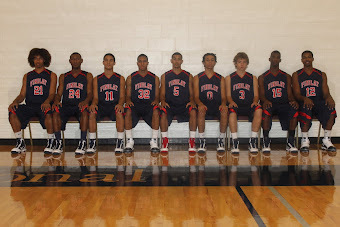 All 10 members of this years team earned division 1 scholarships. Deividas Dulkys - Florida St.